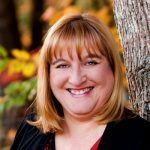 Sheri-Lynn Fournier — founder and owner of Fournier Accounting & Bookkeeping Services — provides personalized bookkeeping and accounting services to a broad range of clients. She is also a certified QuickBooks advisor and can assist with QuickBooks setup, training, and troubleshooting. Work For Fournier Accounting & Bookkeeping Services? Claim This Page.